I am very pleased to welcome you to this page. If you have this link then you are asking the ‘right’ questions about Herbalife and about working with us. A quick word before we start:You have seen my story and know that I am approaching our business with a very serious intent. When I first found Herbalife I was a younger and did not understand what I had in my hands. •	and that will pay us in proportion to our productivity. Basically a business that will ‘pay us what we are worth’. Herbalife does not judge us. Half of the very top leadership team are women. Some are very young, others did not find Herbalife until they were looking for a way to retire. Some work part time, some full time. Many work locally, others build their Herbalife Distributorship in other countries and travel the world. I hope that you will find that we have answers for you and that together we can create something of value here. For you to know if you should start with us you need your questions answered. We believe in giving you full and transparent information so you have a good understanding of our business. You can then make an informed decision about taking the next step, registering as a distributor, using the products we give you for yourself. Start the process with this information and then make a personal decision about getting registered and trialing the products for yourself. A word from our CEO. 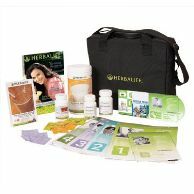 This Rita Herbalife Due Diligence Pack is designed to answer your questions in depth. Check through here, take whatever information you want for now, return as often as you like. When you are comfortable that we have this right, that the 30 year growth pattern that has taken us literally from products in the boot of a car to a multi Billion Dollar business, then let's talk about getting you started in working with us. 1. Why are the Herbalife products so successful? This is one of the key questions please ask - Why are Herbalife products so effective? What is the Rita Herbalife Market edge? 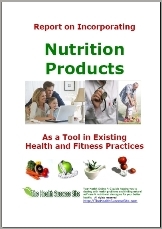 Here is an article that talks about the process of how our body absorbs nutrition. Anyone with a medical background knows this but just what the Rita Herbalife products do to assist our body to get, and to stay, healthy is the key to why people want our products and why they work so well. You can download a copy of this report for your own use. Please make sure you check the second video on the page with the Indonesian lady on it as it has some corporate promo, Indonesian weight loss testimonials and then ladies from the Apollo hospitals talking about the clinical trials they did on Herbalife products. You can download a copy of the Nutrition For Your Cells Article from that site to read later or to give to other people. 2. Exactly HOW does the Herbalife business work? The second question people ask is how we actually make our money and they want an in-depth review so they can understand this BEFORE they commit themselves to working with us. I promised you transparency in our discussions. It is time to back up that promise now with full information. I work with direct international support from Warren Tattersall. Warren has worked with Herbalife for over a decade. What we have done is to have Warren put together the information we would talk about if we were all to sit down over a cup of Chai and talk about these things. It is designed to be easy to read but still answer your questions in full. - How our business actually works? - What are the details of our market plan? - How do we get products into our hands so we can sell them? etc. We have done this on a web page so that you can check through it at your own speed. At the end of the first page go into through the ‘in depth’ section for finer details of our business model and how the Market Plan actually works. Please download a full product guide from our corporate site. The core of the business is, as we have said, the products. We are a serious minded company and we are serious about our products. Opinions and anecdotal stories are fine but at the end of the day there is a need to see the science and the medical scientists who are behind our products. - Are the products proven to be safe to use? - Do we have medical registrations with health authorities across the world? 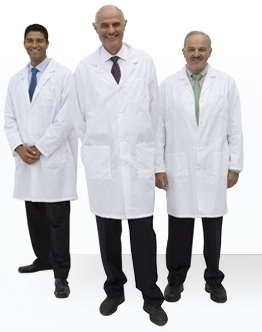 - Have formal Clinical Trials been completed? - Is there ongoing research and development currently happening? - Is it true that Herbalife have a winner of the Nobel Prize for Medicine on their Nutrition Advisory Board? Also, for many medical professionals there is a need to understand how they can blend our products and our business into what they currently do. To download your own copy of our Medical Pack simply right click on the link. You will get a dialog box with options. Choose "Save Link As..." and you can then save it to your own computer. I hope you enjoy it. I will be interested to see what someone like you could do with these tools but there is a lot more support to help you build your business. Firstly, can you expect from us? I am here. I will show you step by step:- how to use the products, - how to talk with people you know, - how to talk with people you don’t know, - how to build your business. I am putting together a team here and I would love to have you in it. If you are working within my distributorship then the minute you are signed the tools of The Health Success Site will be YOUR tools. Warren and I will be happy to put together a home page for you on The Health Success Site and everything that you have reviewed here will be available for you to use within your Herbalife distributorship. How serious are we? The minute you have your distributor forms signed I will have Warren telephone you from Australia and welcome you and so you know we are all here to work with you. You can also use them to talk with people in the other 70 countries where we work. Obviously you will realize by now that we have put a lot of time into preparing material to support people who work with The Health Success Site. That means people working directly with me and also people who come into their business, no matter how many steps removed, have access to the website. This includes a whole section to show you exactly how to build your business. We now have our own on line training cycle to cover all the steps of getting started in your Herbalife Distributorship. That training can be activated as soon as you have your Herbalife ID number so you can confirm that you are registered and are working directly with The Health Success Site group. When you have your ID I will give you the address to log in for your personal training. Cost of that pack in Indonesia is less than 1,800 Rps. and includes a whole range of tools to help you get your business started. 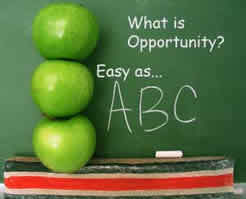 Just the manuals and the DVD trainings included in that pack are enough for people to be able to start their business. In fact that is all many people get. If you have check through the material I have supplied you then you will be better informed right now about our company and products than 90% of Herbalife distributors!! Local, Regional, National and International Trainings. Once you have things started then there are training days in local areas where local distributors go through how they are working in their local area. Networking supports everyone to build a stronger presence in their region. 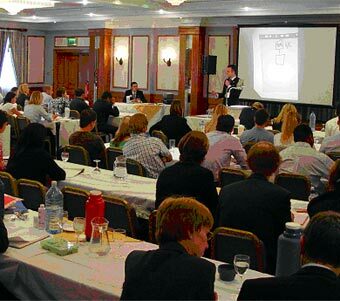 There are regular regional trainings so you can hear secrets of success from top distributors from across the country. There are national trainings where internationally successful distributors come in to show how to build an international business. Finally there are regular international Extravaganza's that give a chance for travel. This area of training is where Herbalife needs more leadership and, with you and I working together, we can build a local support training here, around you if you want to. It is something we are putting together anyway and having you being a direct part of that will only make it stronger. Herbalife is also building a stronger and stronger public profile with sponsorship of sporting figures in a range of sports across the world. The brand of Herbalife is growing and more and more people are asking for our products. The easiest way to do this is to just talk with me and we will arrange to get things moving. 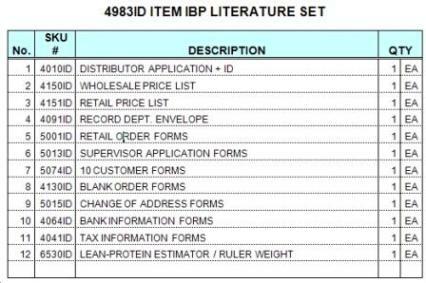 If we wanted to get the IBO to you in a different area then there are 2 ways to get an IBP delivered to your door. The first is to get me to do it for you. Organize to pay for your IBP and I can arrange Herbalife to ship it to your door. 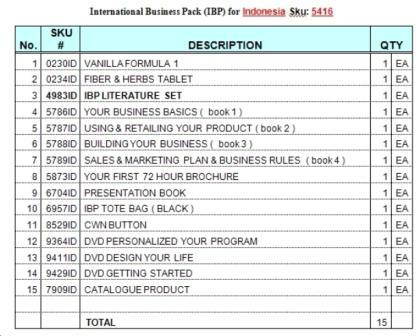 This second method means that that can organized to order the pack and arrange for you to pay for it directly with Indonesia Herbalife. If you are ready to get things moving then it is easy to do. Just fill out the form below and I will send you my personal details to get things moving. After looking through this Due Diligence Pack I can see that this is the opportunity that I have been looking for. Please talk to me about how to get started immediately so we can begin to build our Herbalife distributorship. Or ... I still need to check some things with you so that I can get started. Will you please make contact with me in the next day or two so we can discuss this?